Garry Dwayne Green, Jr. was born on April 7, 1978, in Dallas, Texas. 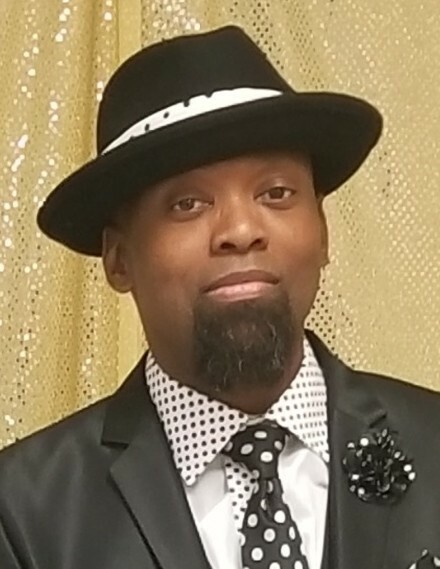 He transitioned on March 16, 2019, in Richardson, Texas, at age 40. Garry attended Kimball High School. He went on to attend the University of Texas at Austin where he earned a degree in Hotel Management. He enjoyed a longtime career in his chosen discipline and worked for The Embassy Suites - Dallas Love Field and Holiday Inn Express - Garland where he was a part of the management team. In addition to being a Mason, Garry was also a member of The Life Church in Dallas. There, he served in various capacities and ministries, including security and community outreach. He delighted in serving to help those who are homeless. Among many hobbies, Garry enjoyed sports. Texas teams were among his favorites - Dallas Cowboys, Dallas Mavericks, Texas Rangers, and Texas Longhorns. He loved music and dancing but most enjoyed spending time with his family...his wife, son, mother, father, and sister. Affectionately regarded as "Bubs" by his father, "Bro" by his son, and "June" and "June-June" by his family and friends alike, Garry will be remembered and missed for his sarcasm, fun spirit, happy nature, and goofy and witty personality. He will be dearly missed by all who knew and loved him. Garry was predeceased by his grandmother, Beatrice Miller; grandparents, Norris and Jessie Green; cousins, Christy Miller and Marlon Casanova; uncles, Dennis Miller and Wendell Green; and parents-in-law, Marvin and Lena Buffington. Those left to cherish precious memories include his wife, Cassandra; son, Ilias; parents, Garry, Sr. and Velva Green; sister, Tanjawa Green; nieces, Nadja Wright and Dejah Green; aunts and uncles: Opal Wyatt (Gary), Kevin Green (Karen), Dylan Green (Tersha), John Green, Lorraine Simeion, Chris Bazar (Fred), Kenneth Miller, Michael Miller (Liz), Esther "Leonna" Parks, Gloria Casanova (Rudy), and Michael Rainey (Wanda); and a host of dear cousins and friends.